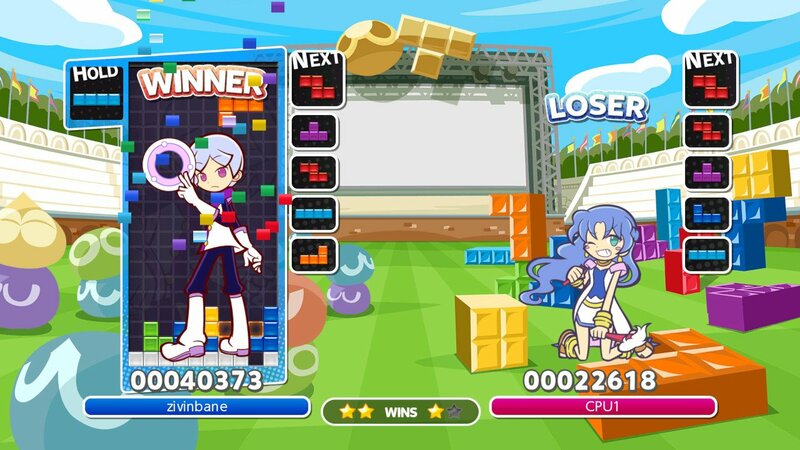 Your first real challenge in any Tetris game will be the computer. Want some pointers on how to set yourself up for victory? We've got the inside scoop. Tetris is a game that’s easy to pick up and play. You shouldn't have any problems understanding the rules and learning how to move Tetriminos, even as a beginner. Plus, there’s an abundance of resources available to help get you up-to-speed on areas you may be unfamiliar with. For example, we have a handy guide to Tetris terminology! In no time flat, you'll be walking the walk and talking the talk. Now all you have to do is spend some time squaring off against the computer controlled opponent. It's true, the computer does have a leg up on you. It was programmed to play Tetris after all! How can you stand a chance against such a skilled opponent? We've got a few suggestions to help grab you your first win. When facing off against the computer in Tetris, it’s best to start slow. 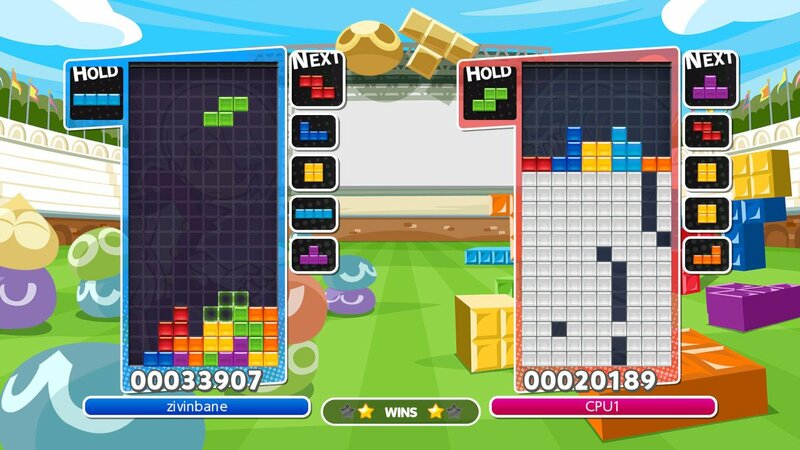 When you first start out playing Tetris, the computer opponent will most likely best you. It's going to happen, and it's totally okay. This is a good chance for you to come to grips with the basics. You want to keep the game going at your own pace, and this is something you have an added element of control over. There are three speeds in which a Tetrimino can fall during gameplay. You can let the Tetrimino come into the Matrix and fall at its predetermined pace, you can use a Soft Drop to speed things up, and there's a Hard Drop to lock a Tetrimino in place instantly. In your early days of playing, it's best to let a Tetrimino fall at its own speed. This lets you take some time to learn how Tetriminos fit together, and also get a handle on the Matrix itself. Once you have a feel for that, you can move on to Soft and Hard Drops. After you build confidence, try sending off line clears to throw the computer off. Feeling a bit more confident behind the controller? Looking for some ways to really make the computer sweat? You can dial up the pressure by considering multi-line clears. 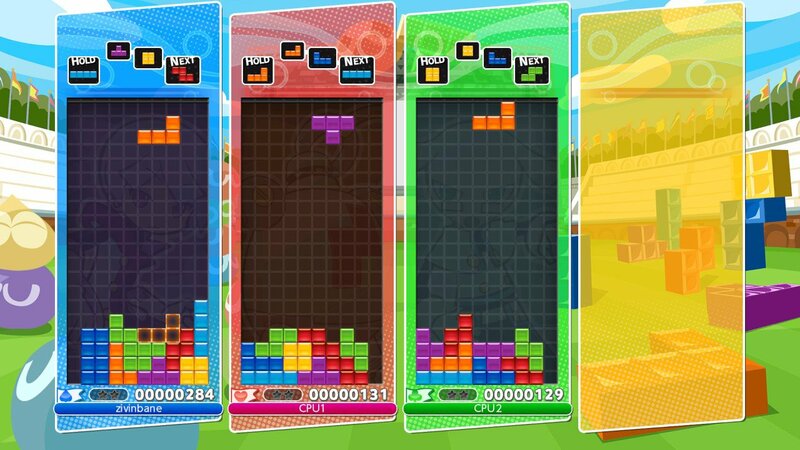 Instead of placing Tetriminos to clear one line at a time, you can build stacks that allow you to grab multiple line clears at once. When the computer is clearing lines, you can bet it's going for multiple lines at once. This means you'll get Tetrimino “garbage” sent your way. Garbage fills up your Matrix and makes it harder for you to play. You can send the same garbage back by aligning Tetriminos for Double, Triple or even Tetris Line Clears. Clearing a single line at a time is great for keeping your Matrix clean, but taking on multiple lines will help get the computer a bit frazzled. 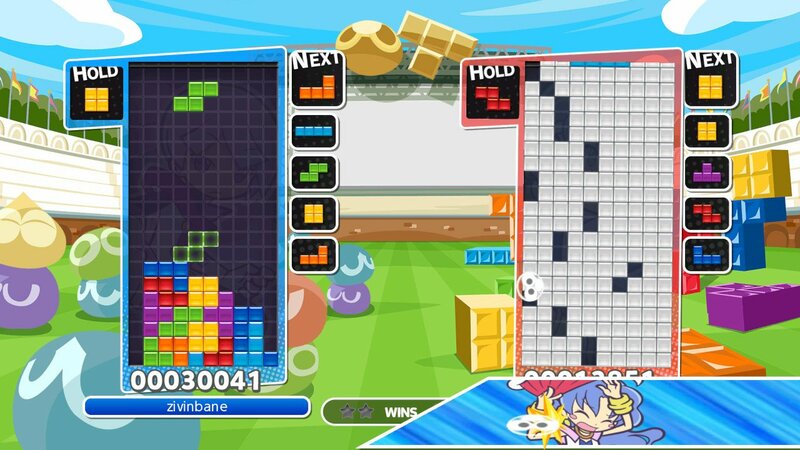 To learn new methods, it’s always a good idea to observe how the computer plays Tetris. Still having some trouble taking out the computer? There's nothing wrong with learning from the best. Instead of fighting to stay alive and rotating Tetriminos like a madman, why not sit back and watch the master at work? There's no shame in watching the computer do its thing. This is a great way to learn some moves you might not even know exist. As we said earlier, the computer is programmed to be a fantastic Tetris player. Watch how the computer moves Tetriminos and builds stacks. You can then take those tactics and apply them to your own game. It's certainly a great way for the student to surpass the teacher! These simple tips and tricks will have you claiming victory over the computer in no time. Soon enough, you'll find yourself wondering how the computer ever gave you any problems to begin with! Then it might be time to take your skills into the real world and go up against family, friends, or even other Tetris players online! Start building your Tetris skills now by playing Tetris for free right here on our website!